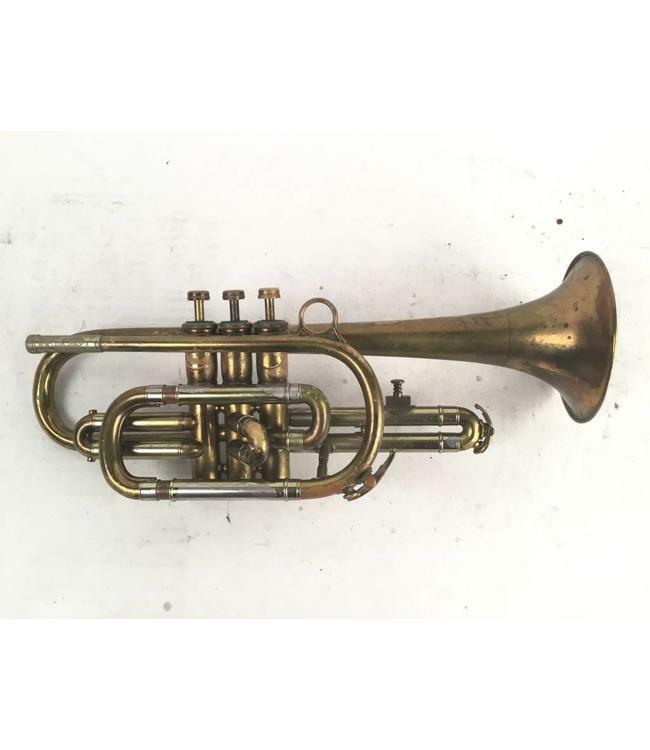 Used English Besson Cornet in lacquer. This horn is in dacent condition with heavy lacquer wear and solder evidence. Is in good playable condition however. Has case.